Most methods of hair straightening can cause heat damage, so while your hair will look wonderful for a while, the constant exposure can have long-term side effects. At Valerie's Barber and Beauty in Jackson, New Jersey, we use a completely different method from most salons, known as Japanese hair straightening or thermal reconditioning. This revolutionary method gives you all the benefits of salon quality hair straightening without all the harsh side effects — and it's permanent! Keep your hair looking straight, healthy, and shiny with Valerie's Barber and Beauty's incredible hair straightening solution. Thermal reconditioning, or Japanese straightening, is a revolutionary and permanent straightening process that promises pin-straight hair while maintaining health and shine. By "permanent," we mean that only new hair growth needs further treatment. That's right! 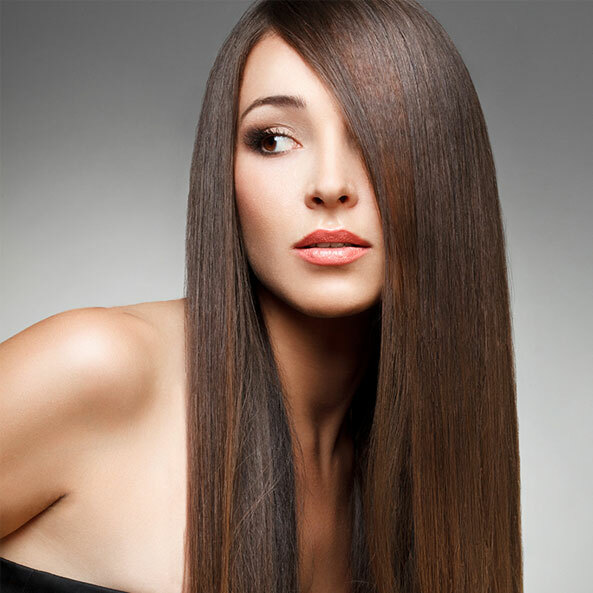 Once treated, your hair will remain straight until it grows out! Thermal reconditioning chemically breaks into the hair shaft where the chemical then penetrates the hair, thus changing the structure of the hair. The basic biology of the thermal reconditioning is to introduce amino acids into the hair cortex where they are heated. This process allows the hair to become straight and silky without damage. The chemicals used in this process are less aggressive than those found in a relaxer, and the treatment is formulated to allow the stylist to be able to adjust the strength of the solution. The Japanese hair straightening method, or thermal reconditioning, is not new — although it is new in the Western Hemisphere. It originated in Japan in 1996 with the dawn of the Yuko system. The Yuko system uses heat to restructure the hair's protein bond, resulting in smooth, straight, shiny, and sleek hair. Now, over a decade later, Japanese hair straightening has become a true beauty phenomenon. While all the terminology in this thermal reconditioning is enough to confuse anyone, you don't have to become an expert in order to make an informed decision about where to go for this treatment. How To Book For a Japanese Straightening? At Valerie's Barber and Beauty, we are happy to answer any questions you may have as we assess your hair. Schedule a free consultation before booking your Japanese hair straightening to learn more about the process. This will be your chance to explain your hair type to Valerie and tell her all about your hair history. This information is necessary so she can make informed decisions about what product to use, how much to use, and where to apply it sparingly.